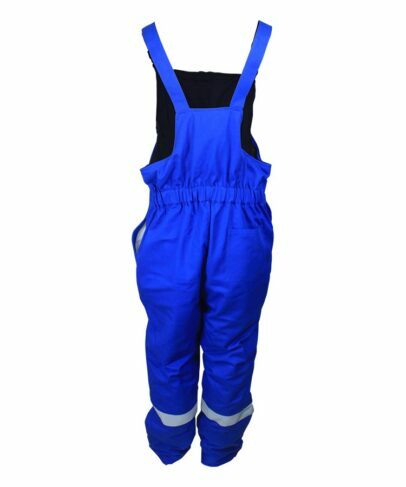 This cotton fire retardant bib-pants made of 430gsm cotton fire retardant fabric, and can meet GOST 12.4.221-2002, EN ISO 11611, NFPA2112, CAN/CGSB 155.20 and other standards. 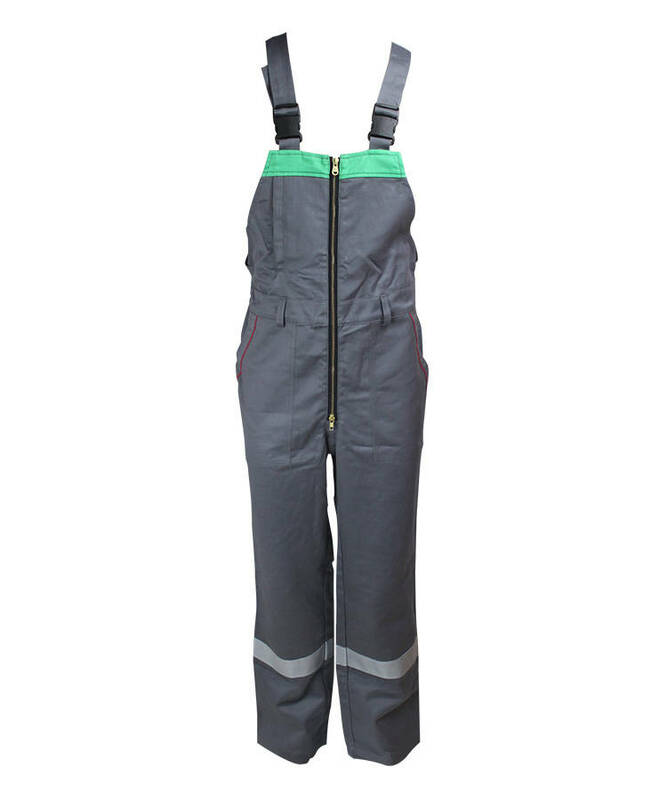 This cotton fire retardant bib-pants has soft touching, great strength, good wear resistant property, construction and weave is very tight. Using Yulong’s unique FR craft, can prevent fire spreading effectively. The cotton fire retardant bib-pants can better protected from electric flash/ electric arc/ molten drops etc.. 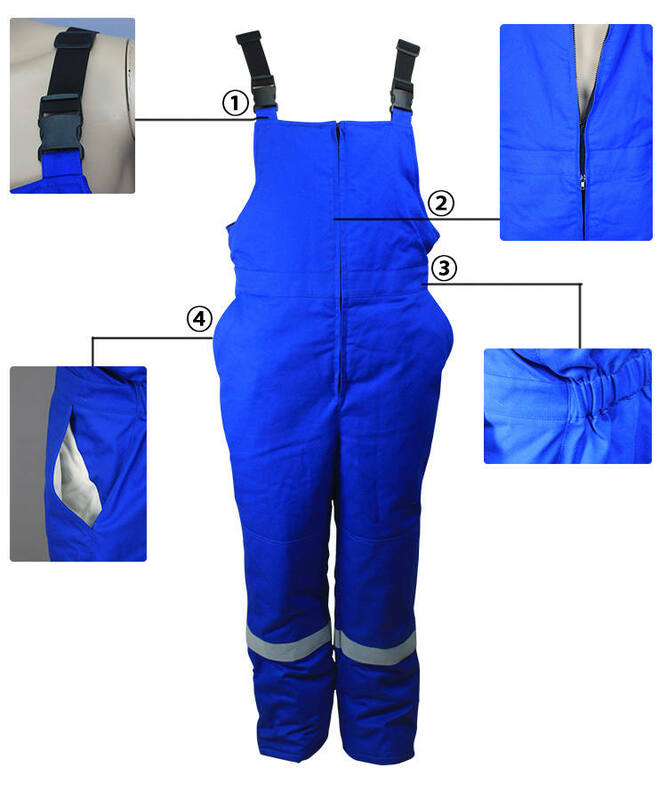 This cotton fire retardant bib-pants is widely used in electric/welding/oil and gas filed, have good market in Europe and America region. 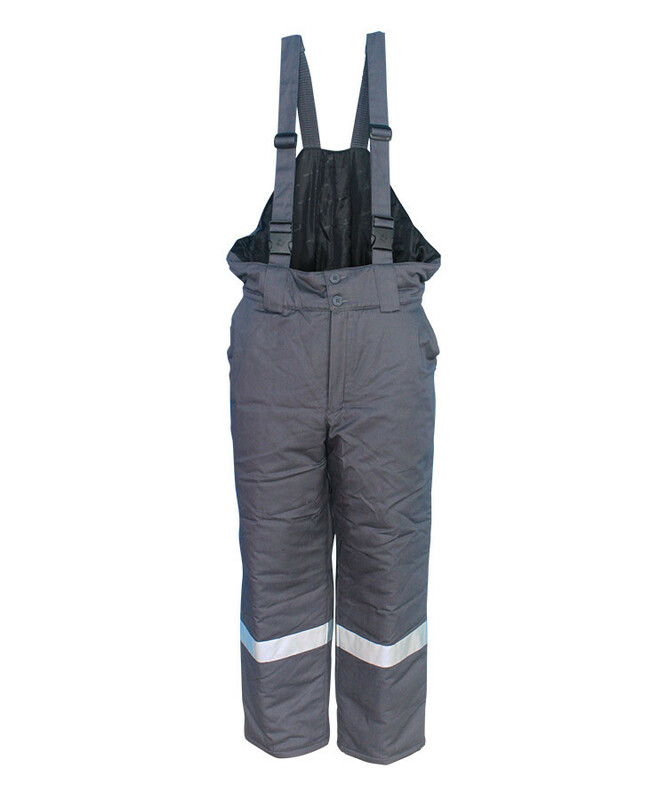 In addition, the cotton fire retardant bib-pants color can be customized. 4cm wide rubber band on the front of Strap, greatly increasing the strap's telescopic performance. 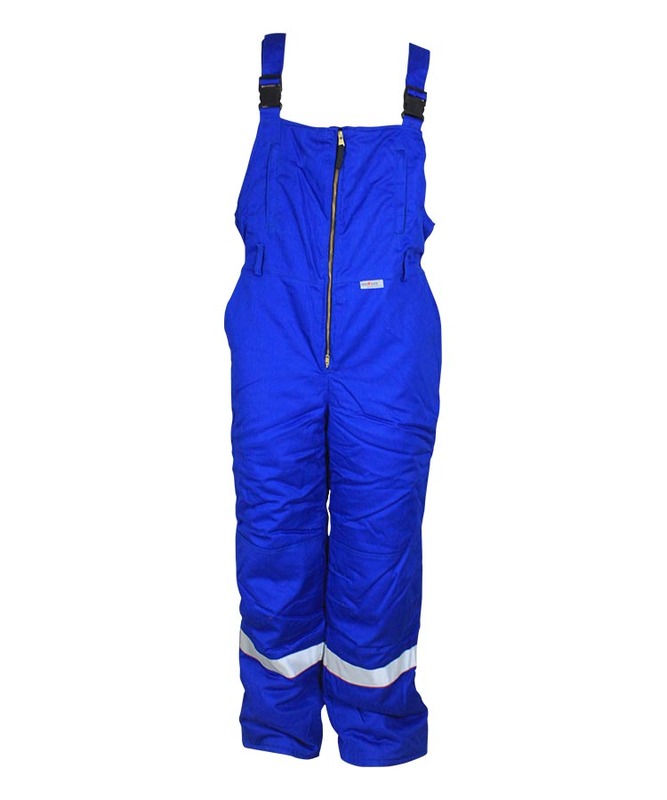 The strap length is adjusted by the strap buckle and the 3-gears-adjustable buckle, increasing the comfort of the wearer. Single-close metal zipper on the front fly. Rubber band on the back waist to adjust size. 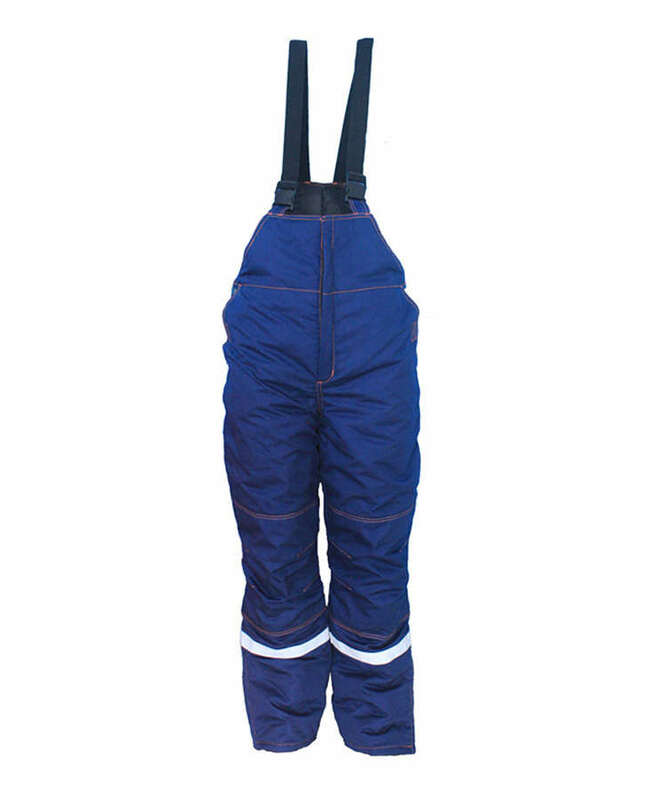 Slant pocket on each side of the cotton fire retardant bib-pants. 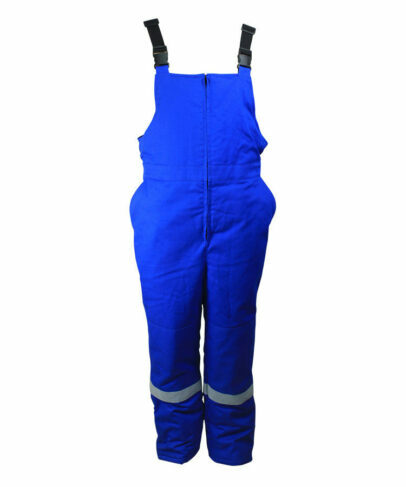 Fill cotton in all cotton fire retardant bib-pants to keep warm. Zipper on the outside of leg to adjust size of the hem,easy to wear on&off.